Are you familiar with the first Guardians of the Galaxy? If so, you probably remember the character with the limited vocabulary named Groot. The movie ended with Groot looking much different and younger than he …or maybe it started the new movie: Guardians of the Galaxy: Volume 2. In this movie, Groot was reintroduced and he picks up where the character ended the first movie. 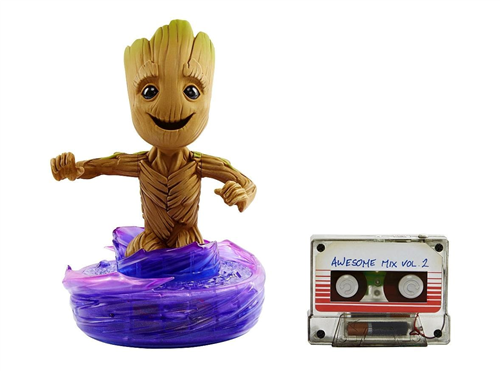 Groot dances to music from Guardians of the galaxy Vol. 2! Includes the hit song "Flashlight"